If you are like me, you bought several of the Air Wick Automatic Air Fresheners a while back when they were super cheap with sales and coupons. But now, you find that you have to spend $4-$6 for a refill, which is likely more than you paid for the unit. Well, right now Publix has the refills on BOGO for $5.49 AND a coupon just popped up for $1.50 off of one refill. This means you can buy your refills for just $1.25 each. Now, that's a deal that I can't pass up! Go HERE to print your coupons. 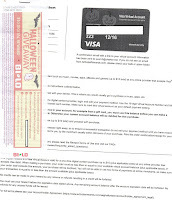 WHAT TO DO WITH THOSE DIGITAL CODES FROM BI-LO? 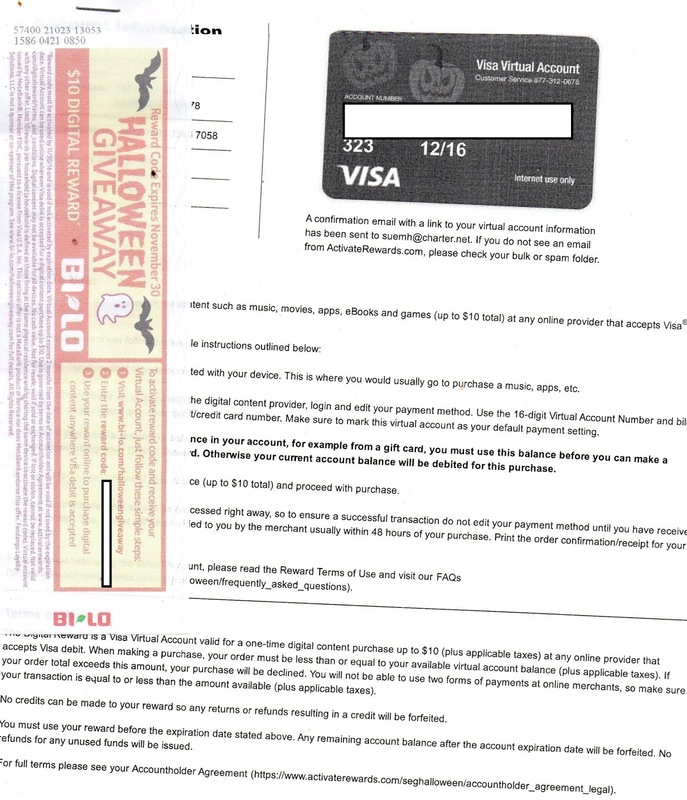 Bi-Lo has a great promotional going on where you get a code worth $10 on Visa Debit for buying 4 participating items. What was not made clear enough was the fact that these Visa Debit ecards could only be used online to purchase digital products like music and movies. Well, not everyone, including myself, spends money on this type of product. So, I had to find another way to spend my money. I loaded my Visa Debit ecard onto my Amazon gift card account, using the 'gift card reload' button. It was really quite simple after redeeming my codes. I do buy from Amazon and usually try to keep a balance on my account, so this worked out perfectly. For those of you who don't have an Amazon account, it's very easy to create one. They sell almost everything, so you shouldn't have a problem spending your money wisely. You might also try loading it to Paypal. I have heard that Walmart.com will also accept them, but I haven't done this, so I can't verify. = $1.06 or .27 each! 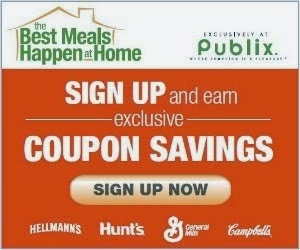 There is a coupon floating around on Facebook for $75 off of an $80 purchase at Publix. I have spoken with Publix Corporate Customer Service and they assured me that this is scam. This coupon will not be accepted. Please do not share any information in order to get this coupon. This week, through Saturday, Staples is offering the Brother HL-2320d Mono Laser Printer for just $59.99. This is, by far, one of the best printers around for printing coupons. I bought my first one as a Black Friday deal in 2009 at this same price. I used it for about 4 years before I upgraded to the wireless version. I have not regretted either purchase. The printer comes with a starter cartridge that will print about 700 pages. When that runs out, you can purchase a replacement compatible cartridge for around $12 from Amazon or other online outlets. The full version cartridge will print 2600 pages. You are likely to not need but one new cartridge per year. Click HERE to see the deal. The wireless version is on sale for $99.99. This is a black-only printer. One deal that I can never pass up is a good deal on M & M's! I am totally addicted! Well, this week, Publix has the 8-11 oz bags on BOGO at $3.79. This makes them $1.90 per bag. Throw in a coupon and you've got a great deal. You will pay just $1.15 per bag. This deal is valid through 10/18 or 10/19, depending on your area. You will pay as little as $3.74 for a pot pie that will feed a small family. You could buy 2 if needed and still not spend more than $8. That's a great deal for a very satisfying meal in my book! You may want to add a salad or some fruit, but still a good deal. This week, October 12 - October 18, Bi-Lo will have an awesome deal on Dixie Crystals sugar. It will be priced at $2 per 4 lb. bag. There was a .55-off coupon in the SmartSource insert dated October 9. This coupon is marked "Do Not Double," but some stores will do it anyway. There is also a Publix coupon for .55 off in their Explore New Flavors Booklet or printable HERE. Most Bi-Lo stores will accept this as a competitor's coupon. This makes the sugar .90 or .35 if the manufacturer's coupon doubles. Either way, it's a great deal. Have you been wanting to join Sam's Club, but just couldn't justify paying $45+ for the membership fee. I enjoy my membership, but only join when I can get a special deal like this one. It offers the same perks as the regular priced membership. I think my favorite things about Sam's are the gas prices and the cheese prices. Well, today is your chance to get the membership for less than half-price, after rewards. Groupon is offering the regular membership for just $25 today, plus you get a $5 egift card and a free Rotisserie chicken. If you prefer a 'Plus' membership, normally $100, they are offering that for just $45. This offer is valid for new members only. Also, if you are a former member, your membership must have been up more than 6 months before October 11, 2016. If you are not a member of Groupon, go HERE now to sign up for free. I went shopping at Publix yesterday, expecting them to be out of the Kibbles & Bits, since it was such an amazing deal this week. A raincheck would have been fine, but their shelf was full. With the $3 coupons that were put out last week, this was an amazing deal. It was such a great deal, that I only paid .74 for everything in this picture, and that includes tax! I normally post my pre-tax totals, because in most cases you still have to pay the same amount in tax. But, as you can see, my pre-tax total was a negative 0.14. If I had purchased this at regular price, I would have paid $46.70 plus tax. That means that I saved $46.84, which is 100% of the regular price, and then some! The dog food was on BOGO at $4.89. With $3-off coupons, that created an overage of $1.11 for each 2 bags that I bought. That covered the tax and all but .74 of the rest of my bill. 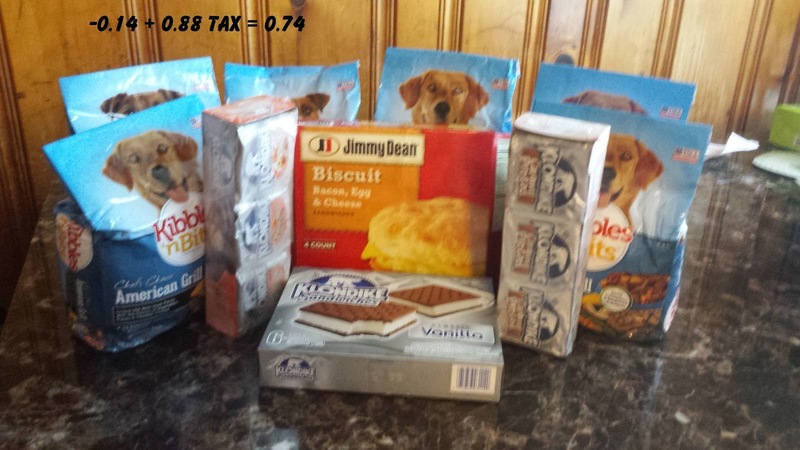 Of course, I had coupons for the JD Biscuits and the Klondike Bars, too. If you printed those Kibbles & Bits coupons, now is the time to use them. This sale ends tomorrow or Wednesday, depending on your area. I've been meaning to let you guys know about this for a while now. Food Lion has 6 days left of their 'Quarter Back' Promotion. This is something they normally do once or twice a year. For every store brand product that you buy, in increments of 4, you will receive a coupon for .25 back. In other words, for every 4 store brand products that you buy, you will receive $1. This is a great time to stock up on the less expensive items that we need every day. I normally stock up on cat food and tomato sauce. Well, I kept forgetting to go to Food Lion when I was grocery shopping, until this week. And since I've been getting so many great deals on Sheba cat food lately, I really don't need that right now. However, my tomato sauce was down to just a couple of cans. So I bought 24 cans @ .39 each. I also picked up 2 boxes of table salt for .49 each and 2 cans of chili beans for .72 each. My total was $11.78 and I got a coupon for $7.00. I think maybe I'll make a list hit this sale once more before it ends on October 11. This weekend, Saturday and Sunday, Bi-Lo is offering their whole boneless pork loins for just $1.58 per pound. That's a great deal! If you prefer beef, they will have T-Bone steaks for just $4.99 per pound. Another great deal! This is a deal that I have never seen before. Beginning Wednesday, October 5, or Thursday, October 6, depending on when your Publix new ad starts, you can get the 3.5 lb bags of Kibbles & Bits Dog Food for free. Beginning with the new ad, it will be BOGO at around $4.89. Coupons.com has just posted a coupon for $3 off 3 lbs or larger. Actually, there are 2 coupons for the same amount. Hurry and click HERE to print yours before they are all gone. This deal is valid 10/5 - 10/11 or 10/6 - 10/12, depending on your area. UPDATE: I DID THIS DEAL TODAY. THE CHEERIOS IN MY STORE WERE A LITTLE HIGHER. I PAID A TOTAL OF $1.84 FOR THE 4 BOXES OF CEREAL. AND I WILL GET $1.50 BACK FROM SAVINGSTAR, MAKING MY FINAL COST 0.34. Buy 2 boxes of Cheerios and 2 boxes of Tiny Toast Cereals. Use the store coupon to make the Tiny Toast free. 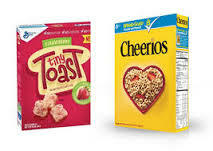 However, you can still use two $1 Tiny Toast coupons and the $1/2 General Mills coupon. This brings the price down to .88. You can then claim the $1 rebate for Tiny Toast on Ibotta. Also, If you participate in Savingstar, you can claim a .50 rebate if you buy one box of regular Cheerios and a $1 rebate for the Tiny Toast. Those cash back offers would make this deal a $1.62 moneymaker. 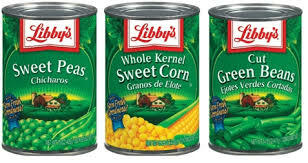 Get four boxes of cereal for .88 or FREE if you participate in Ibotta and/or Savingstar. This deal ends on 9/27 or 9/28, depending on when your Publix's new ad starts. Today only, Amazon is offering over 20 popular magazines subscriptions for $5. Go HERE to see if your favorites are on the list. This is a partial list of what they are offering. Your subscription will automatically renew at the end of the subscription term at the regular subscription price. However, if you don't want to renew, you can stop it by going to Amazon's Magazine Subscription Manager anytime. This offer is valid today only. Although it's too late to get these deals, I thought that I would share with you my amazing shopping trip. I really hit the jackpot with my pork purchase this week. I found the boneless pork loins for just $1.67 per pound and the ground pork was BOGO @ $5.99 per one-pound package. And, these 2 package had $2 off store coupons on them, making them just $1 each. 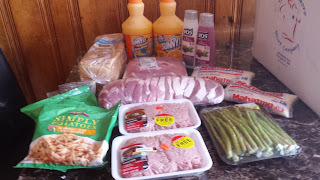 So I got a 3 1/2 pound pork roast, about 20 boneless pork chops, and 2 pounds of ground pork for less than $18.00. My total bill was just $20.18 which is barely more than the pork. I had coupons the Simply Potatoes, VO5, Sunny D, and rice. I also used a $4/$20 competitor's coupon. The total before sales and coupons was $56.08. I saved $35.90 or 64%. That's great on a bill that includes over 11 lbs of meat. And I got 0.50 back from Mobisave for the VO5. you will pay just .25 per can! That's a great deal! This deal is valid September 24-25 only. This weekend, September 24 & 25th, you can get an awesome deal on Dixie Crystals Sugar, 4 lb bags. Bi-Lo will have it on sale for $1.58. That, in itself, is a great deal. But throw a coupon into the mix and it becomes an awesome deal. Go HERE to print a .40 coupon, which will bring the price down to .78, if the coupon doubles. Typically, Dixie Crystals coupons state "Do Not Double," but this one does not. I have also checked it with my Double Check app, which says that it is coded to double. My paper was getting low, so I've been watching for Staples to have another good deal, and they finally came through. This week, through Saturday, you can get 6 reams of paper for just $1.01 after Easy Rebates and store coupons. Just take these 2 coupons into the store and purchase one ream and one 5-ream case of Staples brand multipurpose paper. You will initially pay $32.99 plus tax, but will be given everything you need to file for the rebates. You will get the rebate in the form of a Visa card and/or check, so it's real money, not rewards that have to be spent in the store. Click here to see what's coming in next week's inserts. Please remember that coupons vary by region.